Ajaz Khan alleges that the cow vigilantes only punish the poor and not brands like Harley-Davidson for selling cow leather products. Even as investigations are on, many of Pratyusha Banerjee ’s friends from the TV industry have their own version of the tragedy. 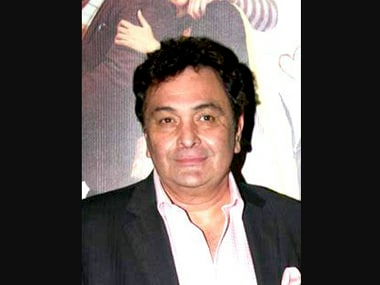 Rishi Kapoor thought about retiring from Twitter. But then, he didn't! Veteran actor Rishi Kapoor decided to quit Twitter after adverse reactions to his comments against singer Abhijeet Bhattacharya and former Bigg Boss contestant Ajaz Khan's take on Salman Khan's 2002 hit-and-run case verdict. Actress Sana Khan, who got evicted from Bigg Boss Halla Bol Sunday, says she couldn't behave like former contestant Ajaz Khan in order to entertain the viewers. A BJP leader has sought a written apology from actor Ajaz Khan for calling its prime ministerial candidate Narendra Modi a 'thief' — and also from Salman Khan. British actress-singer Sofia Hayat, who is the next 'Bigg Boss' wild card entry, feels participating in the celebrity reality show will be a once-in-a-lifetime experience for her.